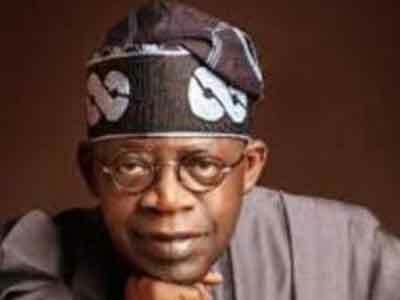 An Ikeja High Court on Thursday adjourned a N150 billion libel suit filed by ​a ​former Lagos State Governor, Bola Tinubu, against African Independent ​Television​​, till May 27. Justice Iyabo Akinkugbe adjourned the suit for further direction after hearing the submissions of the lawyers representing the claimant and the defendant. Mr. Tinubu had instituted the suit against Daar Communications Plc, owners of AIT, for airing a documentary titled “Lion of Bourdilion”. The judge had on April 1, granted an interlocutory injunction restraining the broadcast station from further airing the documentary, pending the determination of the libel suit. At the resumption of proceedings on Thursday, Mr. Tinubu’s counsel, Ayodele Adedipe, told the court that the claimant had filed Forms 17 and 18 which had been served on the defendant. However, the defendant’s counsel, Jeffery Kadiri, while admitting service, noted that the 42 days period they were expected to file their reply had not elapsed. 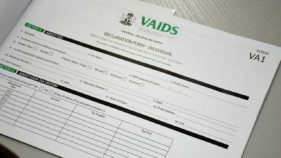 Mr. Kadiri said the defendant intended to file a counter-claim and join issues with the claimant, adding that a long adjournment was needed to ensure that all processes get into the court’s file. Following the development, the judge adjourned the matter, directing that all documents relating to the suit be filed to enable the parties proceed to pre-trial conference. 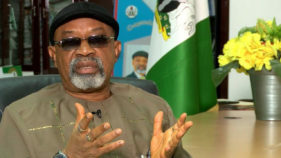 Mr. Tinubu, who is the National Leader of the All Progressives Congress, filed the suit claiming that the documentary, which AIT started airing on March 1, was defamatory “in all respects”. His lead counsel, Wole Olanipekun, said the documentary showcased various propert​y​ and companies across Lagos State purportedly owned by him and then went on to describe him as “Nigeria’s biggest landlord”. Mr. Olanipekun said the programme also claimed that Mr. Tinubu was “charged for narcotics” in 1993 in the U.S. 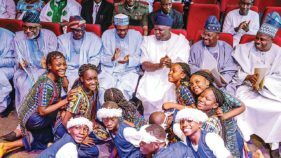 He alleged that the documentary was politically sponsored to tarnish Mr. Tinubu’s reputation in the eyes of the populace. Mr. Olanipekun had, therefore, asked the court to award N150 billion as damages against AIT for tarnishing his client’s reputation. Responding, Mike Ozekhome, lead counsel to AIT, argued that the content of the documentary were facts which had been in the public domain for over two decades. According to him, these were published independently prior to the broadcast and had remained unchallenged till date. Mr. Ozekhome said AIT had a responsibility to its audience to scrutinise their public officers, adding that Mr. Tinubu had not shown how the said documentary had damaged his reputation.